Join millions of travelers around the world and take the journeys that matter. 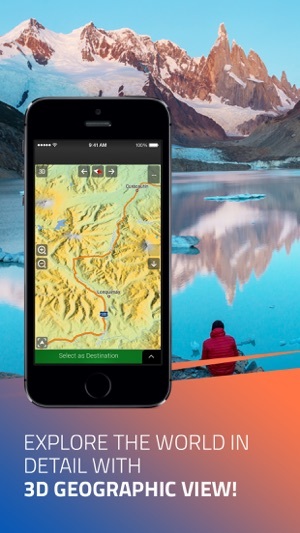 Using half the storage space of many other navigation apps, iGO Navigation is an offline app that guides you on adventures around the world. Including only the features that help you the most, we do away with distractions – just you and the world around you, because we believe that travel should be experienced between the traveler and the world, not the traveler and their phone. 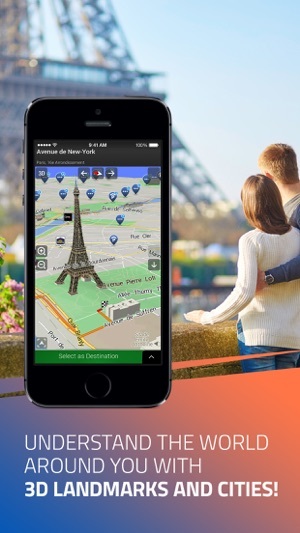 The iGO Navigation app is for those who believe in a purer form of discovery, but want a helpful guide to push them in the right direction, whether you’re traveling in your hometown, a new country, or across a continent. 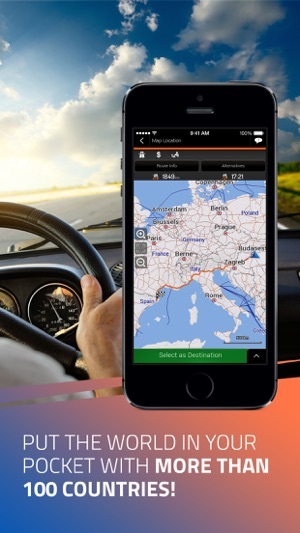 The award-winning, full-service app now has improved visualization, accelerated route calculation, reduced storage space requirements, and advanced offline features, making it the best copilot to help you experience the world around you. Find your inner explorer, and hit the road like a pro. No more getting lost, no more wasting time, no more clogging your phone, no more searching for WiFi, and no more distractions. 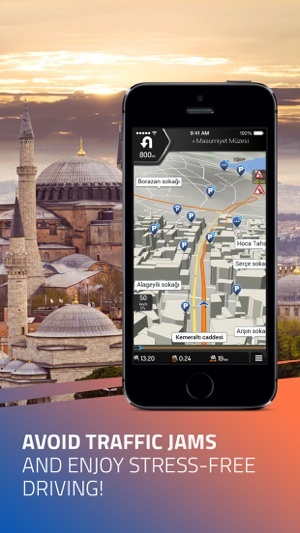 iGO Navigation: for the journeys that matter. 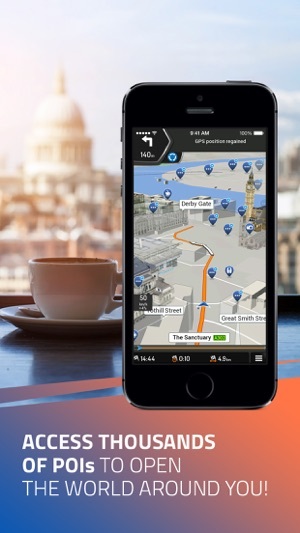 What does iGO Navigation offer? For more information visit the http://www.igonavigation.com/ website. Please note that since iPod touch and iPad (WiFi only) do not have built-in GPS-receivers, an external GPS-receiver is required. Only those receivers are compatible, which are officially supported by Apple. 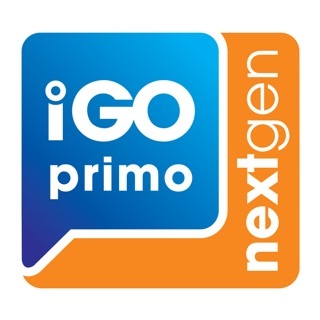 Due to the size of the package and certain In-App items, we recommend purchasing and downloading the application, In-App items or updates through WiFi or fixed line Internet access via the iTunes software installed on a personal computer. Note: Continued use of GPS running in the background can dramatically decrease battery life. Background navigation has to be turned on while using the application; you can do this under "Settings / Advanced settings" in iOS 7. I’m a bit annoyed that I had to repurchase maps I had purchased for iGo Primo, and I cannot understand why I should download a quarter gig TTS package when iOS offers a perfectly acceptable TTS engine in the OS, but otherwise I see significant improvements over its predecessor. I like the integration of speed/speed limits and the availability of heading information in the navigation view. Very annoying to have to pay again for the maps that already worked for me. It is ok to sell another application, dont update maps for old app, or similar, but to completely close app I've never seen before. This is by far the most expensive app I've invested and got such disrespect. They should refund all of us if not capable of keeping up with software development.